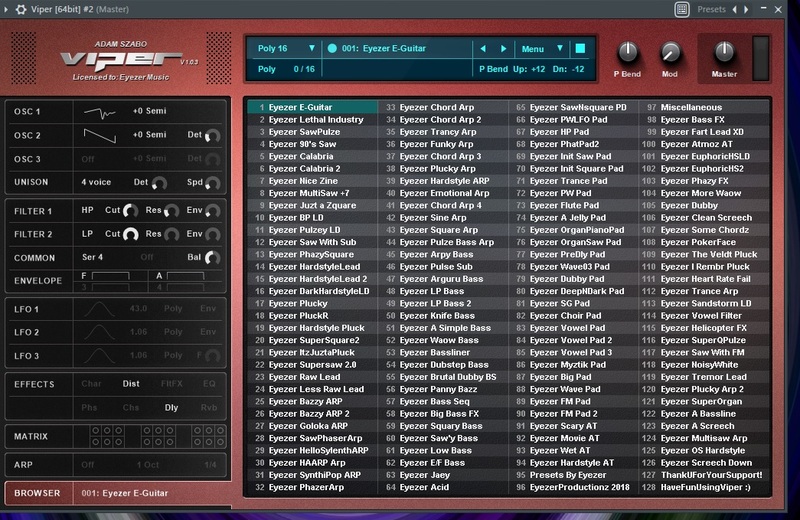 Here is my second soundbank for Adam Szabo Viper. This bank is a bit more mixed than the first bank. More arps, more bass presets, more pads and more! 124 presets in total. Soundset demo can be found at the top of this page.